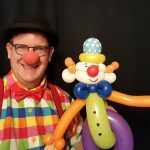 Are you looking for an English-speaking children’s entertainer, an English-speaking clown or a kids magic show for international parties in Germany? Benji is here to help! He is German but lived in England, performed in many countries and speaks English, German and some French. Language is never a problem for a clown and kids entertainer. The 20 to 40 minute shows can be in English or German, bilingual or simply without too many words at all. 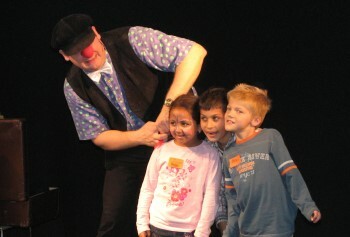 The shows are aimed at ages 4 through 11 and the whole family. The kids will have a fun time, rolling on the floor laughing and enjoying an entertaining show and many colourful balloons. 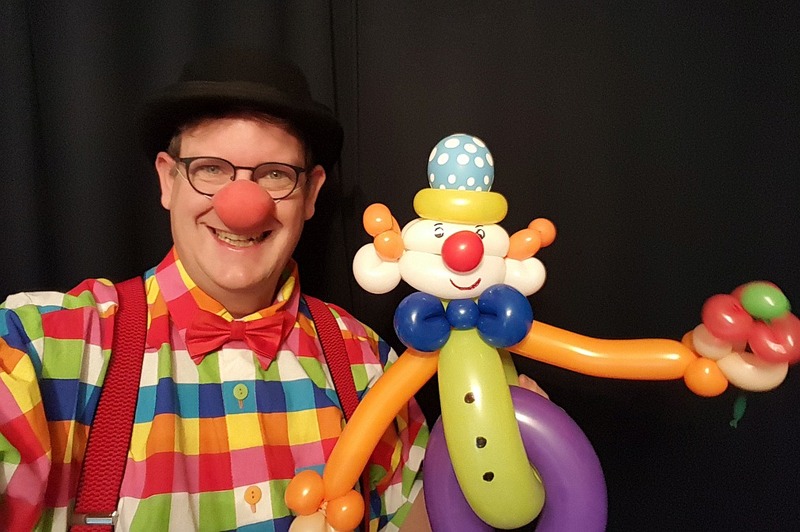 Benji’s fun magic show is often followed by balloon-twisting, with the option of adding a creative balloon-workshop for older children. Experience great entertainment with opportunities for lots of fun pictures. I’d love to make your next party with children unforgettable! Send an email or give me a call!